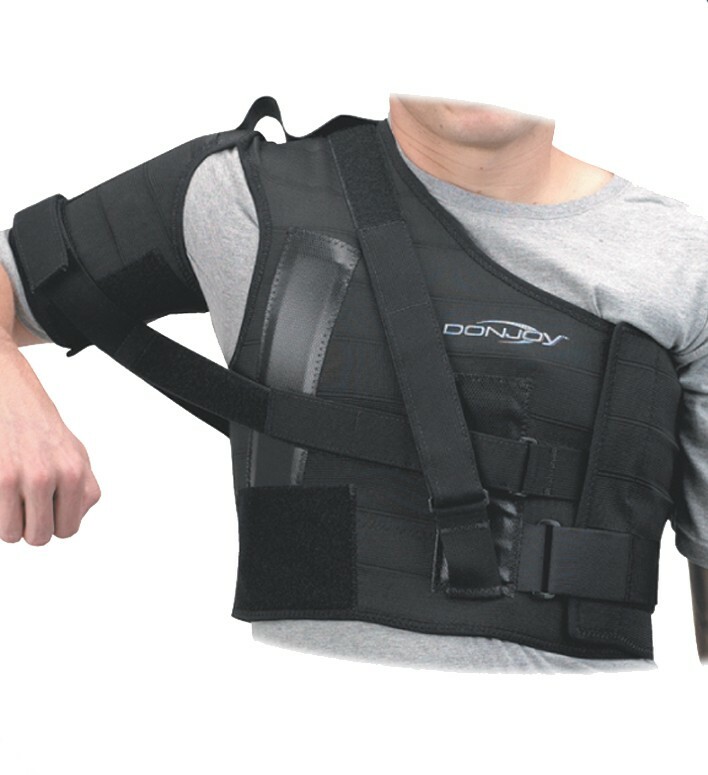 The DonJoy Shoulder Stabilizer is designed to protect and stabilize the shoulder post-injury (shoulder dislocation, strain, rotator cuff pain) or post-surgery during sports. The Shoulder Stabilizer provides shoulder immobilization and controlled range of motion for glenohumeral dislocations/ subluxations, rotator cuff tears, and acromioclavicular separations. Designed to wear under sports protective gear, the DonJoy Shoulder Stabilizer assists in your return to activity by controlling shoulder motion, helping to reduce the risk of injury.